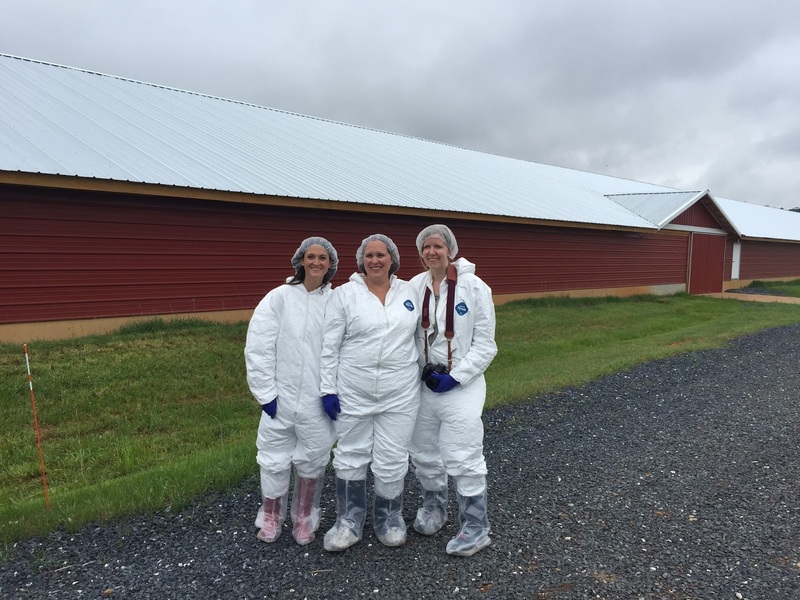 What Happens on a turkey farm? 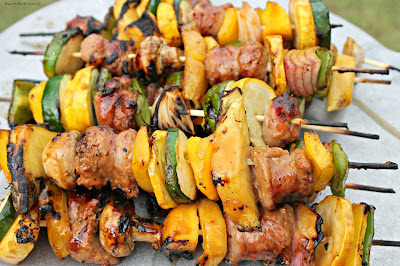 And a yummy Turkey Kabob Recipe - Made It. Ate It. Loved It. A few months ago I went to a great blog conference called Mom 2.0 where I was able to meet some great people, being influenced by some great speakers, and be introduced to some amazing brands. One of the nights there was a fun Happy Hour Tent Party and that is where I was able to be introduced to a great company Shady Brook Farms and Honey Suckle White. 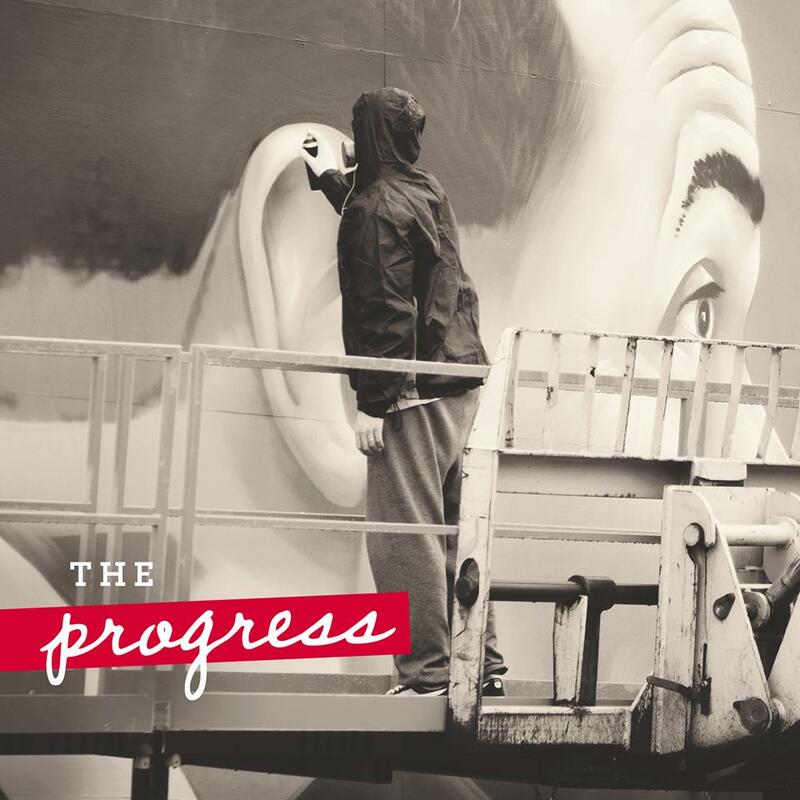 That night they had a great big mural that everyone who wanted to could be apart of painting. I remember very distinctively the conversations I had with one of the 700 famers that their company has. I was very impressed by the passion that she had as being one of Shady Brook Farms and Honey Suckle White’s turkey farmers. I knew that if they had great quality of people raising their turkeys then their brand must have quality products. Fast forward a month and two and I was sent a great opportunity by them to go to one of their farms. The timing was a little hard with my sister getting married the following day but I knew that this was an opportunity not to be missed! And boy am I glad that I decided to go! 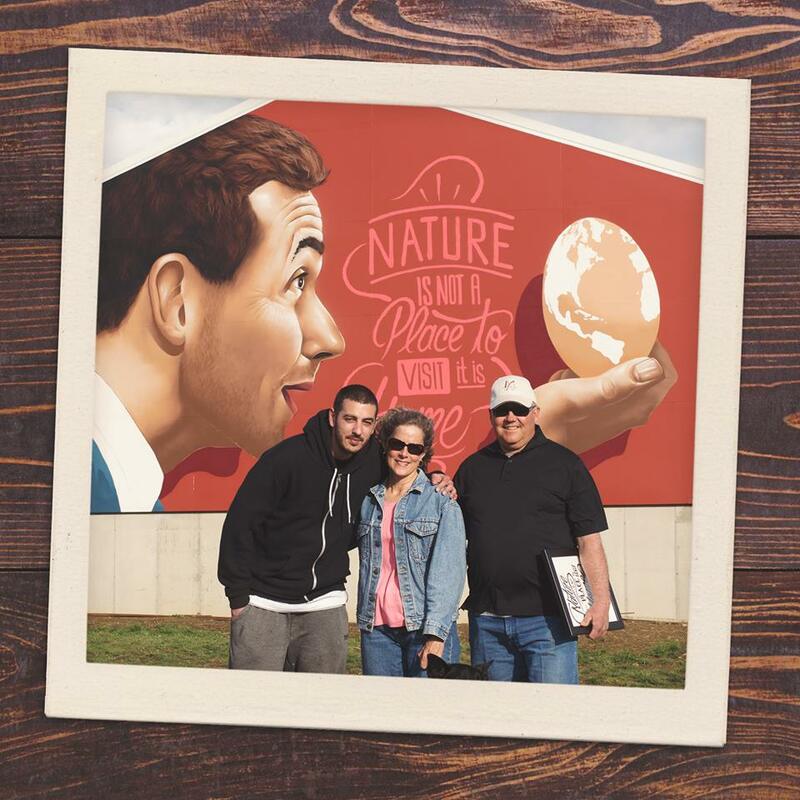 I learned there why they wanted us to create a mural at Mom 2.0. And how they picked a few of their farmers to have murals painted on their barns of their farms. 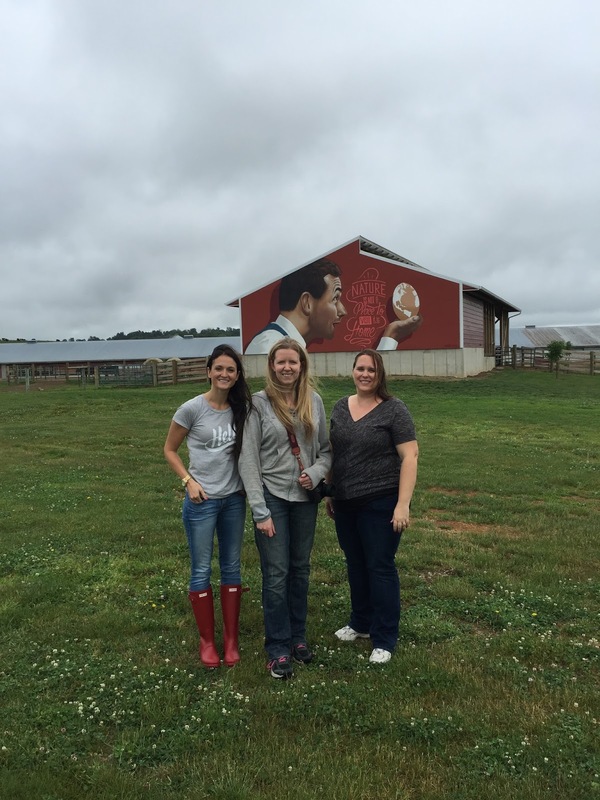 I was lucky enough to see first hand the spray painted mural that was on the Miller families barn. 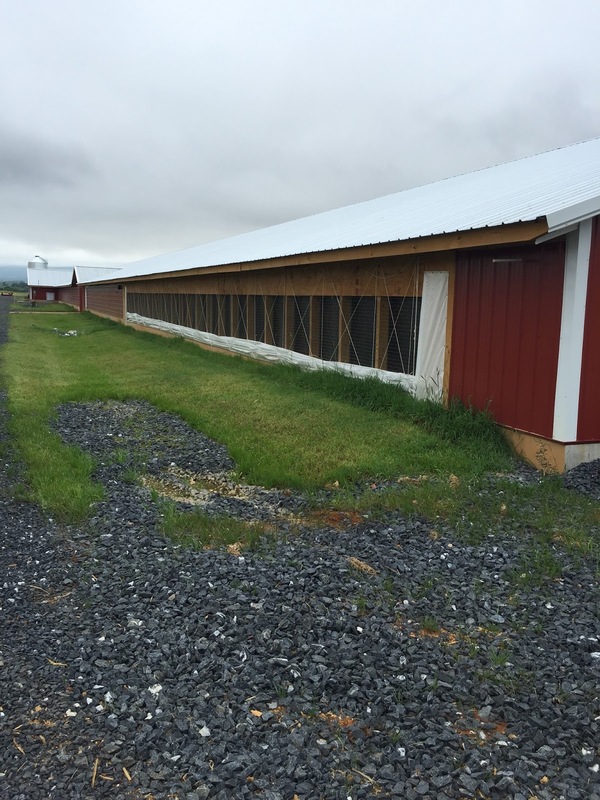 Head over to their Facebook page to see the other barns and the one that I visited! 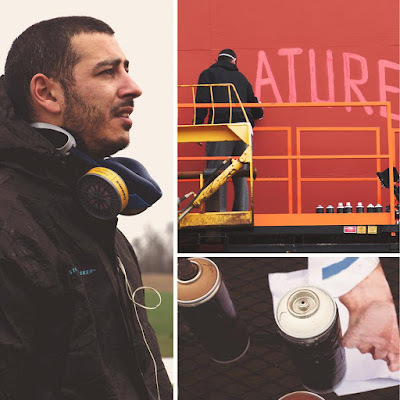 They are amazing and they even have some videos that they had produced to tell the stories of the turkey growers and the painters that worked on the projects! While I was in Charlottesville, Virginia I stayed at the Omni Charlottesville Hotel. 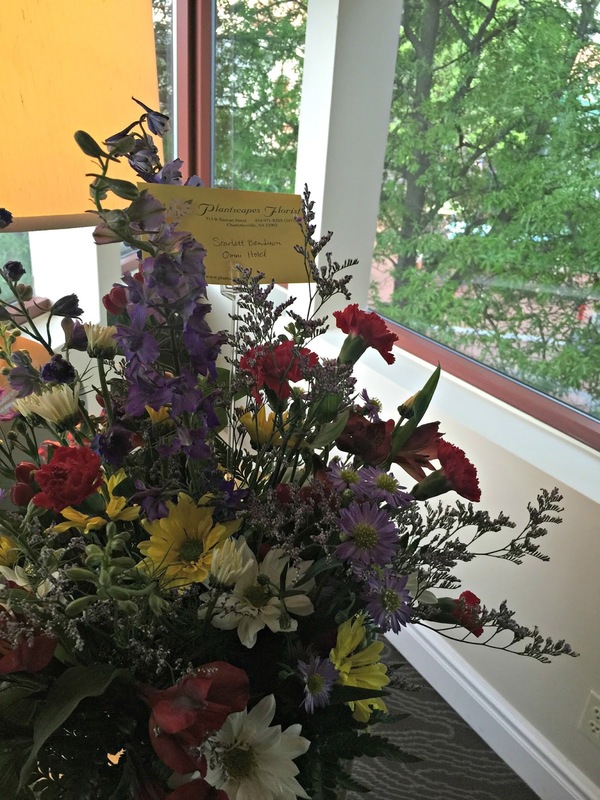 When I got to my room I was greeted by some amazing flowers from the companies PR team. And they gave me that night to get settled in and explore Charlottesville. Right at the hotels entrance their is a shopping area and some fun places to eat. They had a lot of street performers there playing music and it had an awesome small town city vibe. It was so green everywhere and we even got to experience a little rain while we were there! This Arizona girl was very very pleased! The next afternoon we traveled to the Millers farm and spent time touring the barns and chatting over lunch with the Millers. Such genuine nice people! 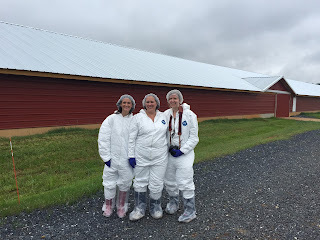 When we got to their farm we got all suited up and ready to head into the barn. 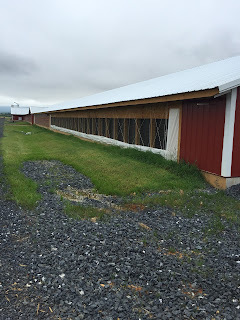 I was so impressed with how clean and well kept their barn was. You could tell that they really cared about making sure their turkeys were well kept and comfortable in their surroundings. 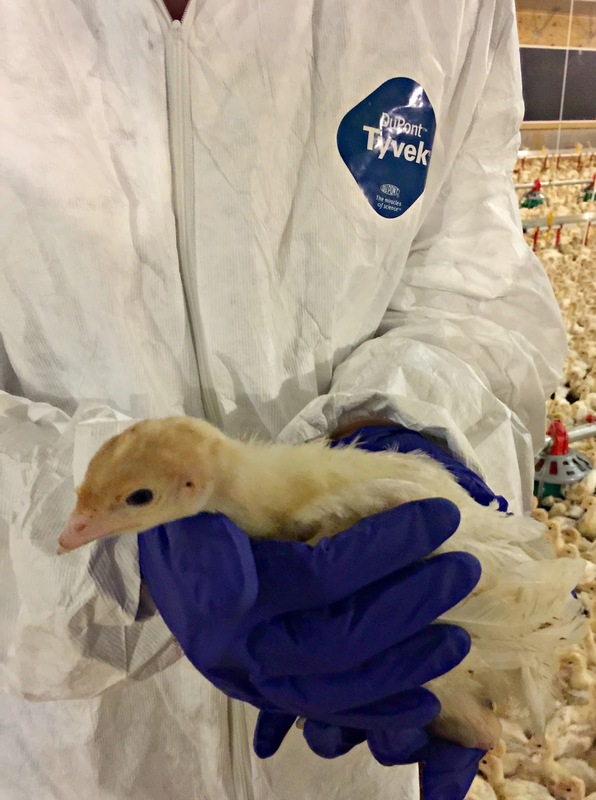 We were able to see 25,000 turkeys that had just been placed in their barn 9 day prior. These new little turkeys loved to follow us around. When we got in we were asked to talk quietly and to walk around slowly not to frighten them. The type of precautions that were taken to make sure the turkeys felt comfortable were mind blowing. I was able to hold one of the turkeys with the help of one of the turkey growers. After we were down touring the farm we sat down for lunch with the Millers (Craig and Nancy) and the Cargill marketing specialist and they showed us the amazing new packaging that Shady Brook Farms and Honeysuckle White had just launched and I was excited to be able to see how easy to read and the information that they placed on their packaging that was very easy to find and read. Each of their labels also features one of the 700 independent farms that they have around the country. 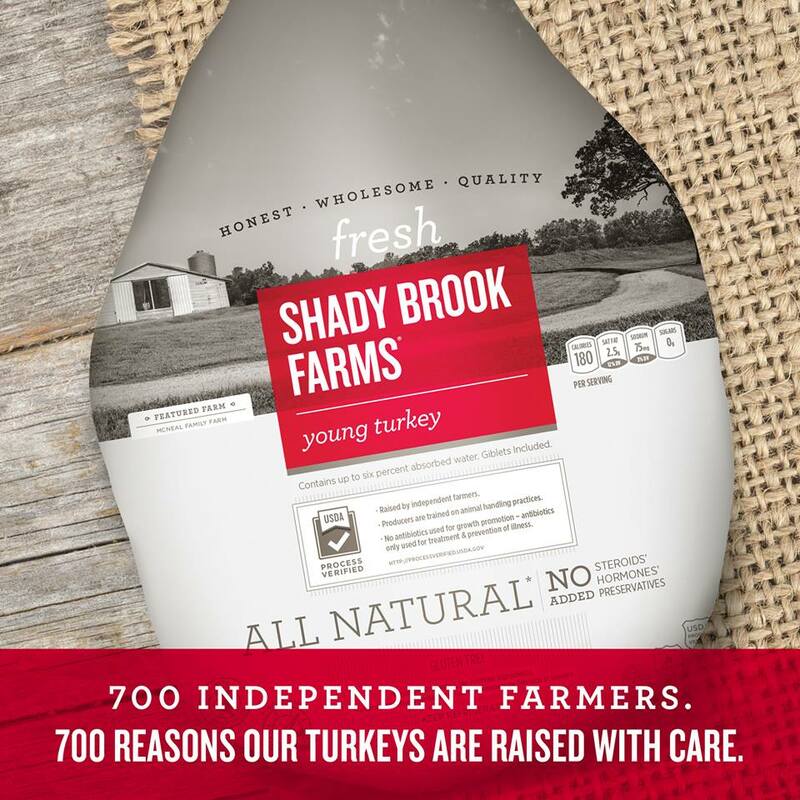 I learned how important it is for Shady Brook Farms and Honeysuckle White to create a quality product that is also affordable for everyone to be able to buy to have in their homes. How great is it that a company is willing to sell their product for less so that everyone can afford good quality wholesome food for their families. 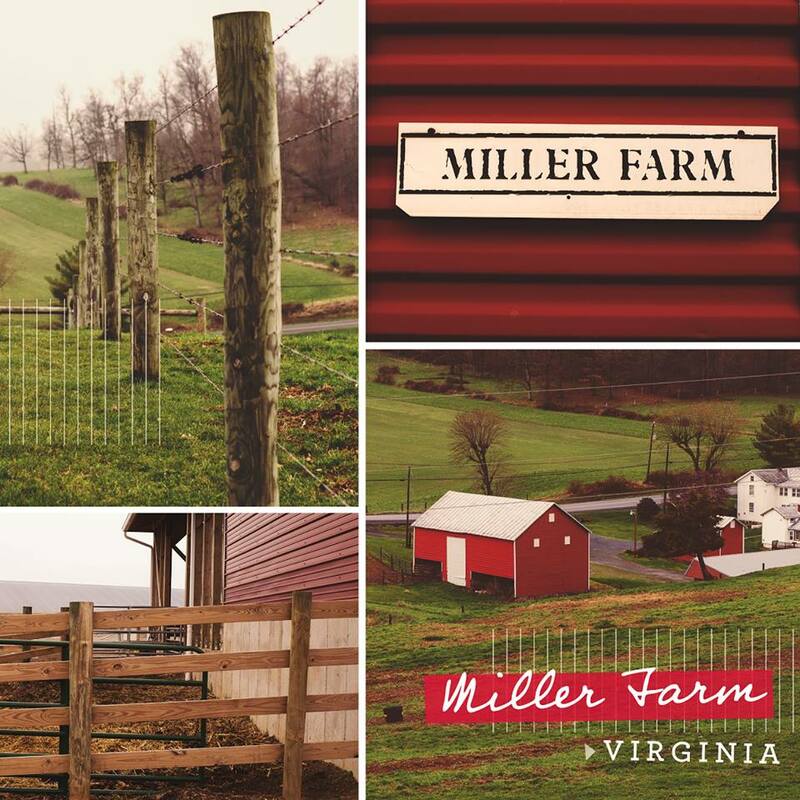 After that we were able to preview the video of the painting of the barn on the Miller Farm. They hired a street painter from Portugal that had never been to America to come and spray paint this special barn. He took a Norman Rockwell painting and revised it to have a main holding a turkey egg that has the world painted on it. Check out the whole story and video here. It is an amazing and inspiring one! And here is us in front of this amazing barn. Spray painted!!!! 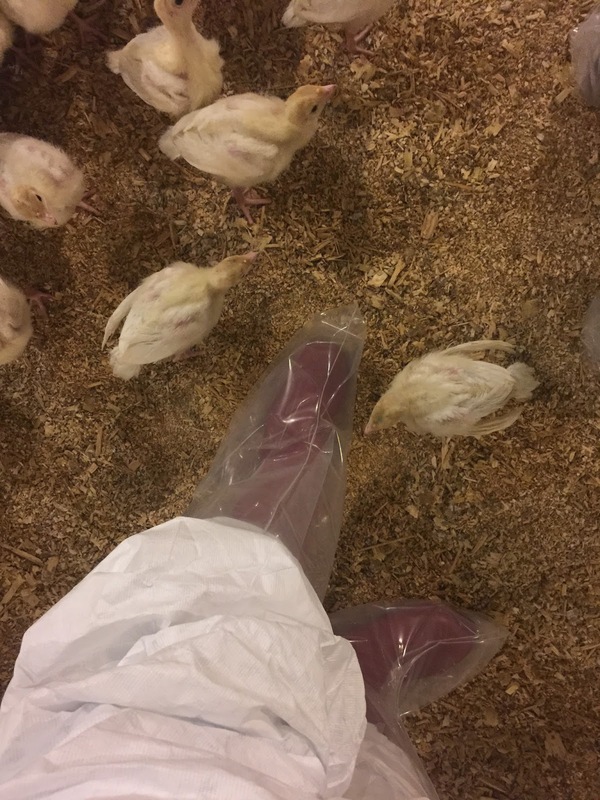 I absolutely loved spending time on the farm and was beyond impressed by everything. From the cleanliness of the farm to the quality of people that they had raising these turkeys. I was so excited to get home and try their products. When I got home I headed to the Winco by my house and picked up 4 of their products. 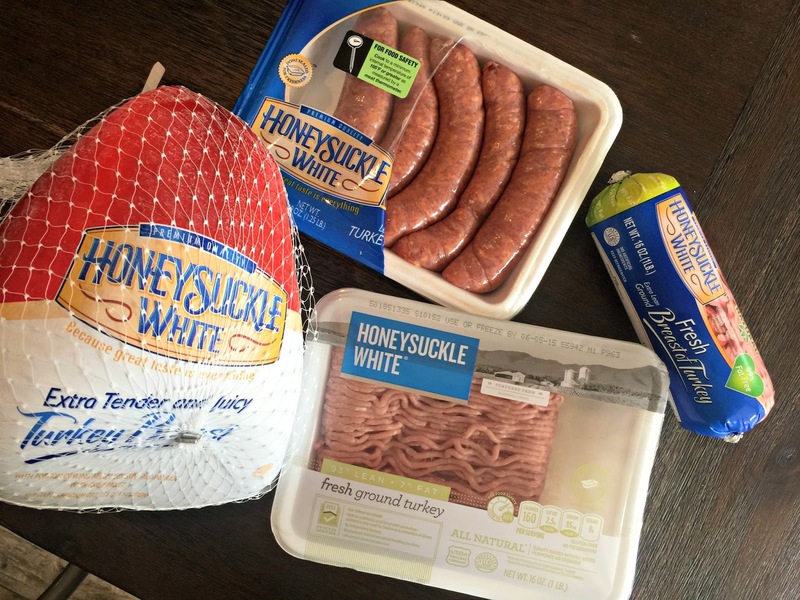 I got their frozen whole turkey breast, fresh 93/7 ground turkey, fresh breast of turkey, and the sweet Italian turkey. The first product that I decided to try was the sweet Italian turkey sausage links. My family loves kabobs. 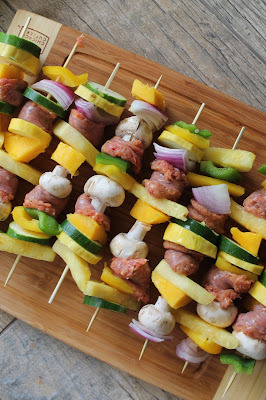 I made them by adding pineapple, peppers, onions, mango, and mushrooms to them. I marinated them in a teriyaki marinade and grilled them up. One thing that I like to do is grab a little olive oil and dab a little on to a cloth and oil up the grill so that the kabobs are less likely to stick. Which will make them easier to rotate. Lay all of your ingredients out on a cutting board or your clean countertop. 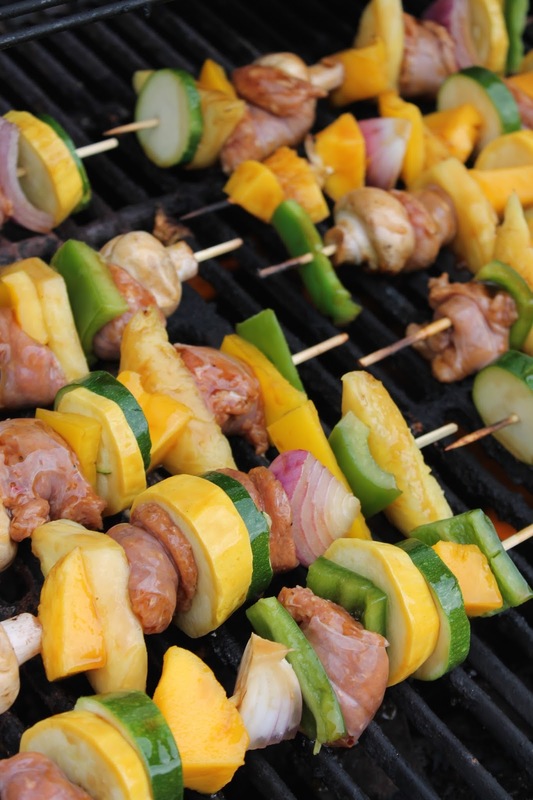 Place your skewers next to your ingredients. Begin to place all ingredients onto the kabobs alternating one of each ingredient at a time. Try to use 2-3 slices of the Honeysuckle White Turkey Sausage on each kabob. 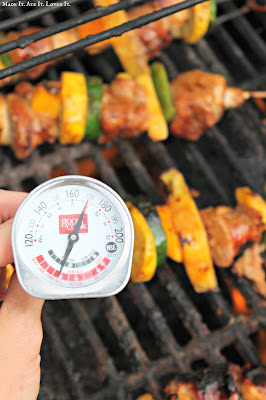 Place the kabob on a foil lined baking sheet. 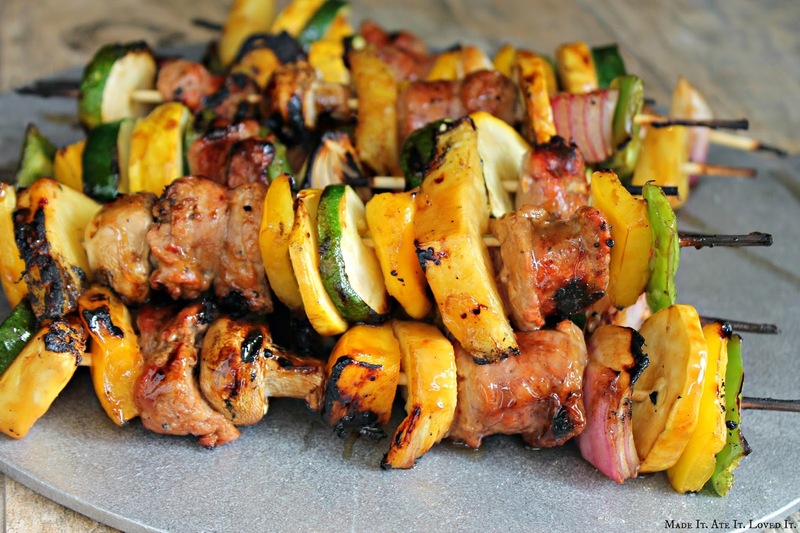 Once all of your ingredients are gone and your kabobs are lined up on the baking sheet pour over the teriyaki marinade sauce and cover with foil and let marinade in the refrigerator. 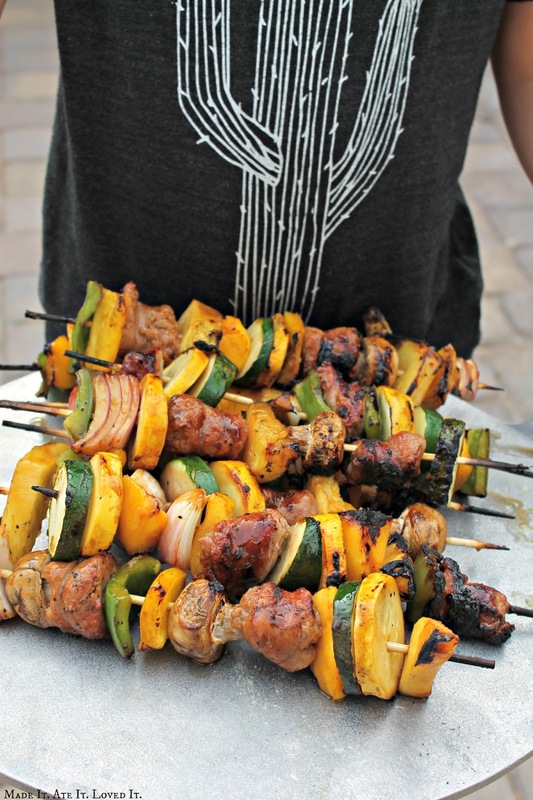 Try to rotate the kabobs every so often. Once you are ready to grill them heat up your grill to medium heat. Grab some oil olive and place a little of it on the rag. Rub the olive oil onto the grill while making sure the oil does not drip down to the bottom of the grill or it will catch fire. 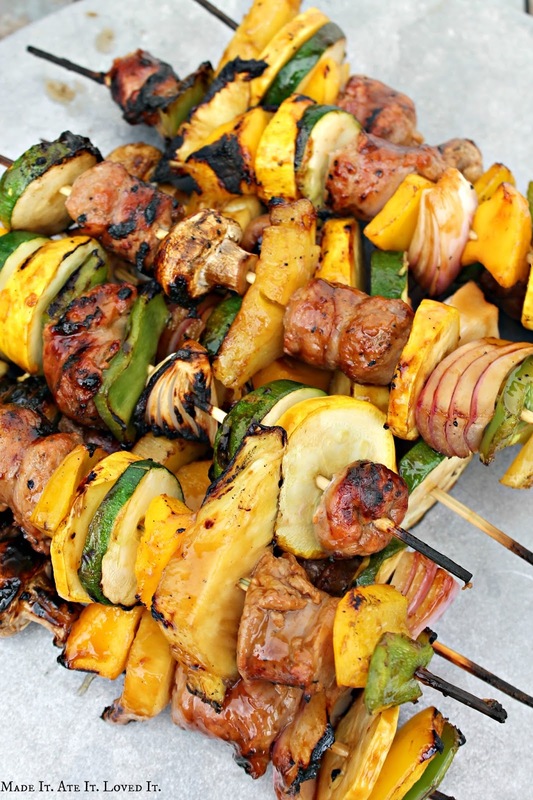 Then place your kabobs on the grill. Cook kabobs for 12-15 minutes rotating often. 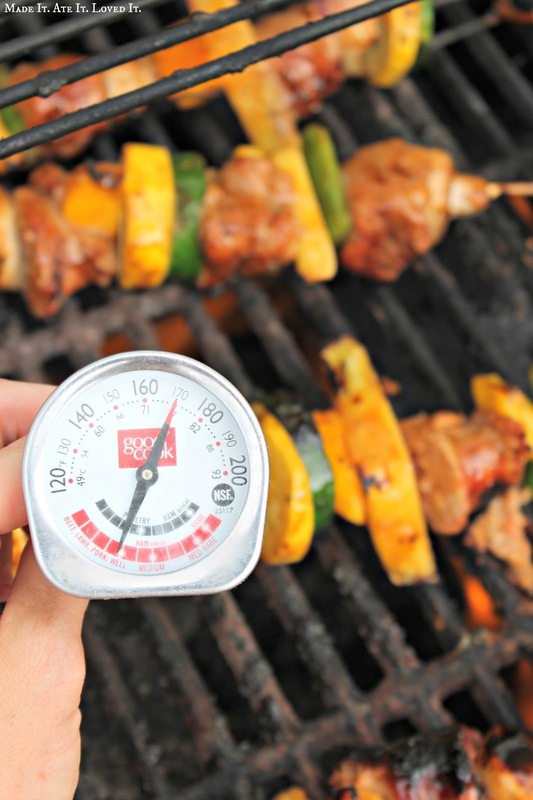 Always make sure that your meat is cooked well done, 165 degrees F as measured with meat thermometer.